The Sindh Bar Council has suspended the licence of practice of four lawyers for appearing before the model criminal trial courts in violation of the decision of the Pakistan Bar Council, it emerged on Wednesday. The four lawyers also include a former judge of the Sindh High Court. The SBC took the decision on the complaints of the Karachi Bar Association. A notification issued in this regard stated that the disciplinary committee of the lawyers’ top provincial regulatory body had suspended the licences of advocates Abdul Sami Memon, Mohammad Shair Khan, Syed Zakir Hussain and Mohammad Arif Sitai. Mr Hussain is a retired judge of the SHC while Mr Sitai is currently posted as the deputy district public prosecutor in the court of additional district and sessions judge/model criminal trial court in district South. Two other lawyers were representing the parties before the model courts in Karachi. Lawyers observed strike on Saturday and boycotted court proceedings in protest against ruling of a judge to throw a lawyer in jail for misconduct in court. 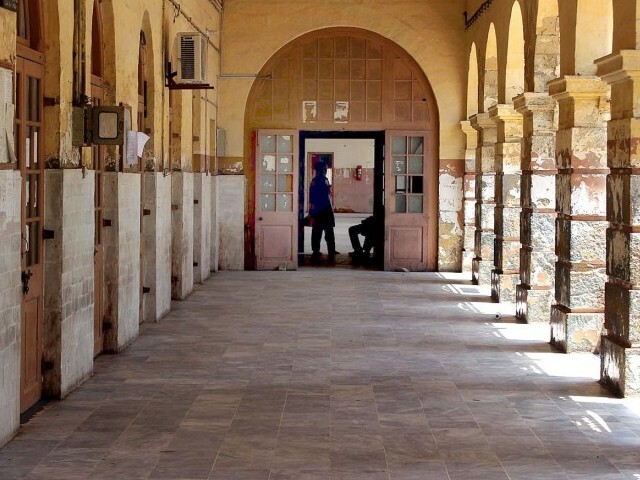 Rawalpindi District Bar Association had given the strike call after Civil Judge Shagufta Sabir punished a lawyer, Khalid Mehmood, with two-month imprisonment and Rs1,000 fine for his misbehaviour after she dismissed a case. During an emergency meeting of the bar held under the leadership of the High Court Bar Association President Mustafa Kandwal, Rawalpindi District Bar Association President Tanvir Sohail, Secretary Shahzad Mir, lawyers Tafiq Asif and Faisal Malik passed resolutions demanding suspension of the civil judge, transfer of the session judge and annulment of the sentence. The lawyers said the courts would be locked down if their demands were not met. The lawyers’ leaders said that they would be with the judiciary if they confronted the establishment while they would be with the lawyers if they confronted the judiciary. They demanded the civil judge should nullify the decision herself by Monday. 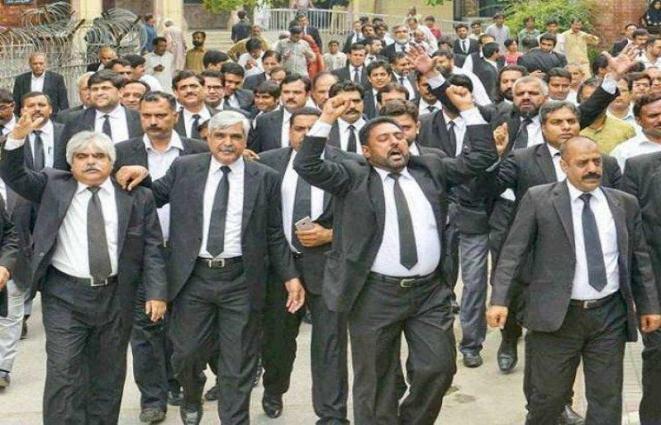 The legal fraternity on Wednesday observed a strike to protest registration of a criminal case against an office-bearer of the Lahore Bar Association (LBA) and other lawyers on charges of manhandling a police official on premises of the sessions court. The aggressive lawyers kept the entrance gates of all subordinate courts locked almost for whole day and denied access to litigant public and police personnel. The jail vans carrying under-trial prisoners remained stranded outside the courts’ premises due to the lawyers’ protest. The judges at Cantonment, Model Town, district courts, sessions and civil courts adjourned cases without any proceeding. The lawyers also took out a rally from Aiwan-i-Adl to Lahore High Court where they held a joint press conference along with representatives of Pakistan Bar Council and the high court bar association. The bar leaders demanded of the police high-ups to immediately withdraw the FIR, which they claimed was a fabricated one. They also demanded transfer of Additional IG Malik Khuda Bukhsh accusing him of manipulating the bogus case against the lawyers. They announced continuing the protest till the demand was not met. Islampura police had lodged an FIR against LBA Secretary Malik Maqsood Khokhar and others on charge of manhandling police inspector Munir Ahmad in a courtroom. The lawyers would also observe a boycott of courts on Thursday (today) against the decisions of National Judicial Policy Making Committee in respect of Section22-A and 22-B of Cr.P.C regarding entertainment of applications for registration of FIRs and establishment of model courts demanding the restoration of the previous position. A lawyer was shot dead by unidentified armed men near Parachagan Banda on the Hangu Road here on Friday. The police said that the moving car of Asif Hussain Advocate was ambushed when he was driving from his house in Khadizai area to the Kohat city district courts. He died on the spot. Nobody saw the assailants whether they were in a car or on foot as they managed to escape from the scene. The police shifted the body to the KDA teaching hospital where it was handed over to relatives after autopsy. The police registered FIR against unknown persons on the complaint of his brother, Mohammad Ikhlaq. The district police officer visited the crime scene with senior officials and ordered constitution of a joint investigation team to trace the killers. He then met with the members of the Kohat Bar Association and assured them that no stone would be left unturned in locating the murderers. The Pakistani lawyer who secured the acquittal of a Christian woman facing the death sentence for blasphemy is himself seeking protection from European governments, his French lawyer told AFP on Friday. Saif-ul-Mulook has been targeted by death threats since his the spectacular acquittal of his client Asia Bibi, a labourer from central Punjab province on death row since 2010. “He is hoping that people will take into account his heroic actions in defending Ms Bibi, given the current circumstances in Pakistan, which led him to exchange his freedom for hers,” Mulook’s lawyer Francois Zimeray told AFP. “He does not want to seek asylum, but rather to ask for European nationality,” Zimeray said. Mulook fled to the Netherlands last November after violent protests erupted over the Pakistani Supreme Court’s decision to overturn Bibi’s death sentence from 2010. He returned to Islamabad on January 26 to defend Bibi as she faced another appeal of the supreme court’s decision, which was rejected on Tuesday. Bibi, who has been detained in protective custody, is expected to leave Pakistan as well to seek asylum in a North American or European country, and unconfirmed reports have said her children are already in Canada. The country’s foreign ministry confirmed Thursday that Bibi was free to leave the country after her years-long legal ordeal, which drew worldwide attention to religious extremism in Pakistan. Even unproven accusations of blasphemy in Pakistan have caused lynchings and murders. The Supreme Court of Pakistan on Tuesday rejected a review petition challenging the top court’s decision to acquit Asia Bibi, a peasant Christian woman enmeshed in a years-long blasphemy row. A three-member bench headed by Chief Justice Asif Saeed Khosa and comprising Justice Qazi Faez Isa and Justice Mazhar Alam Miankhel took up the petition filed against the top court’s verdict acquitting Asia Bibi of blasphemy charges and setting her free. Petitioner Qari Muhammad Saalam’s lawyer Ghulam Mustafa presented his arguments before the bench and demanded that a larger bench comprising Islamic scholars be constituted to hear the petition. Qari Muhammad Saalam had filed a review petition in the Supreme Court Lahore registry through his counsel Ghulam Mustafa Chaudhry, after the apex court acquitted Asia Bibi, who had been on death row since she was convicted on blasphemy charges in 2010. The petitioner had argued that Bibi confessed to her crimes during investigation, and that a delay in lodging the First Information Request does not imply that the defendant is not guilty of the crime. The petitioner had also sought to put her name on the Exit Control List till a final decision on the review petition was made. The lawyer of a Pakistani Christian woman who spent eight years on death row for charges of blasphemy vowed to secure her freedom when the country’s Supreme Court meets Tuesday to reconsider an acquittal announced last year. 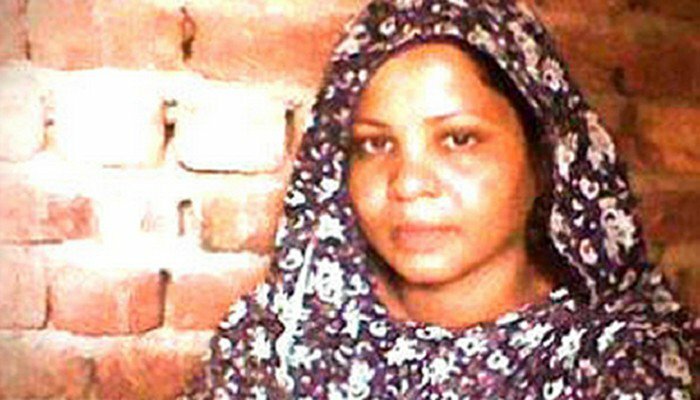 Aasia Bibi was released from prison in October but has been under guard in a secret location since then because of death threats from Islamic extremists. Blasphemy against Islam is punishable by death in Pakistan, and the mere rumor that someone has committed blasphemy can ignite lynchings. If Pakistan’s top court upholds its earlier ruling, Bibi will be free to leave for Canada, where her daughters have already been granted asylum. Her attorney, Saiful Malook, who has also received death threats and fled the country after her acquittal, is back in Islamabad and will attend Tuesday’s hearing. “I am sure the review petition … will be rejected,” Malook told The Associated Press on Monday. He said he has asked authorities to provide him with personal security. The petitioners “have no case against my client, I am sure of that,” Malook added. The 54-year-old mother of five was arrested in 2009 after being accused of blasphemy following a quarrel with two Muslim farm workers who refused to drink from a water container used by a Christian in a village in eastern Punjab province. A local mob, incited by a cleric, accused Bibi of insulting the Prophet Muhammad. Police arrested her, and she was sentenced to death in 2010. Her Oct. 31 acquittal led hard-line Islamists to stage nationwide protests for days demanding the re-imposition of her death sentence. Prime Minister Imran Khan’s government promised Bibi would not be allowed to leave Pakistan until her case was reviewed, bringing a halt to protests. Days later, authorities arrested radical cleric Khadim Hussain Rizvi and several of his followers for organizing rallies against Bibi. The cleric and the others remain in custody pending trial for damaging public property and threatening Supreme Court judges. Chief Justice of the #SupremeCourt of #Pakistan Asif Saeed Khosa has dismissed the review petition appeal against #AsiaBibi's acquittal in the blasphemy case. #AsiaBibi case will be adjourned till 31 Jan.
On acquittal case of #AsiaBibi, the CJP while questioning the petitioner's lawyer asked 'prove to us what is wrong with the verdict?' The burden of proof is on the petitioner.